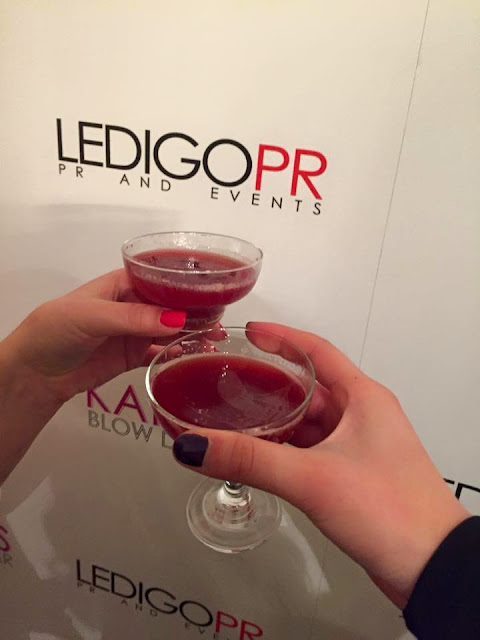 Last Monday I attended another special event, courtesy of Stephanie and Ledigo PR. 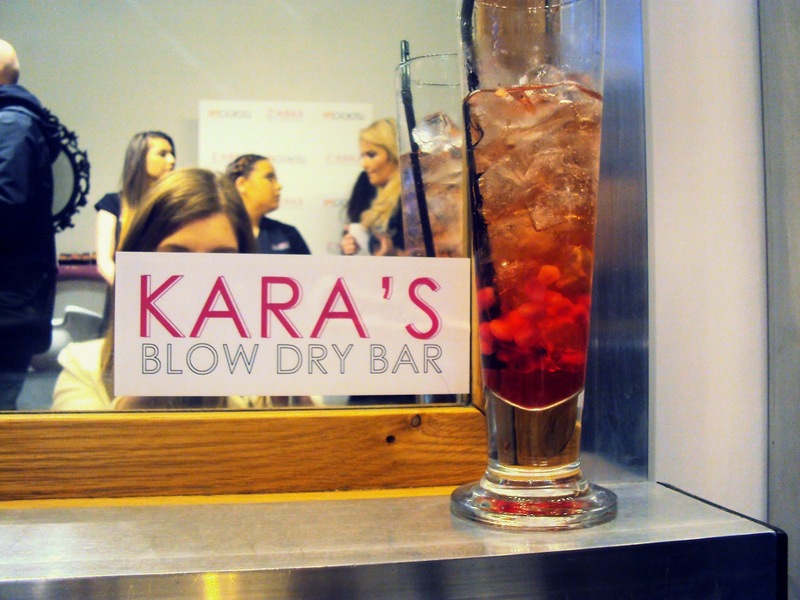 This time, it was at Kara's Blow Dry Bar in Manchester city centre. The salon, which has been open for two and a half years, specialises in hair styling and the team is ready for anything - from a sleek and chich straight blow to a big, curly hairstyle. 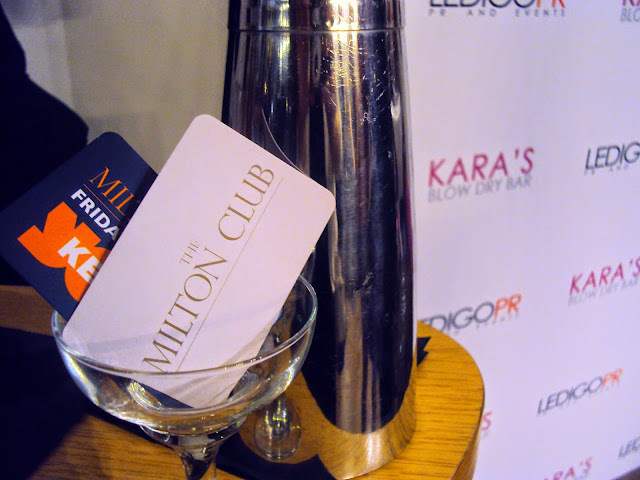 On the night, we were greeted with a round (or two, or three) of cocktails by The Milton Club. Adam, working behind the bar, created marvellous 'Pomsecco's - pomegranate and champagne cocktails - and 'Paradise Found' - very similar to the classic Pornstar Martinis, but with a lovely taste of caramel. I was then seated to have my hair done by one of the lovely ladies at Kara's salon. In under 10 minutes and using only a hair dryer and two curly brushes, she managed to give my hair an amazing voluminous finish. Other treats on the night included an express manicure by Nailista (above) and professional makeup by the lovely Charlotte (below). I fell in love with Nailista, mainly because they use very high quality products (Essie and OPI only), even for the base and top coats. 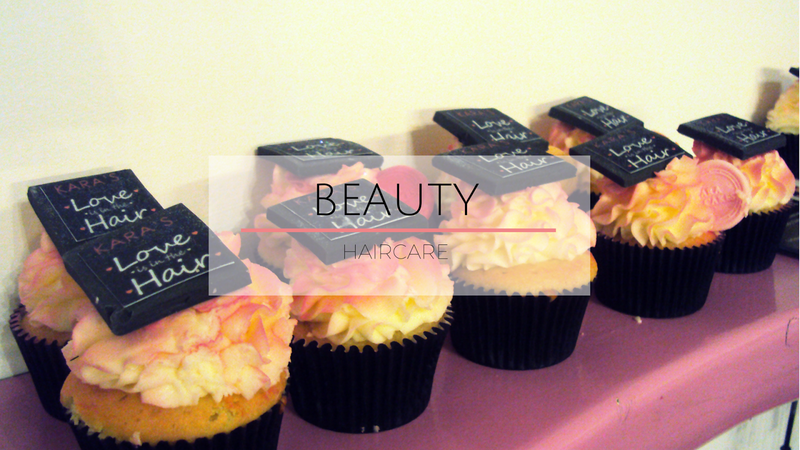 Besides manicures and pedicures, they also offer brow and lash treatments, as well as affordable pampering packs. 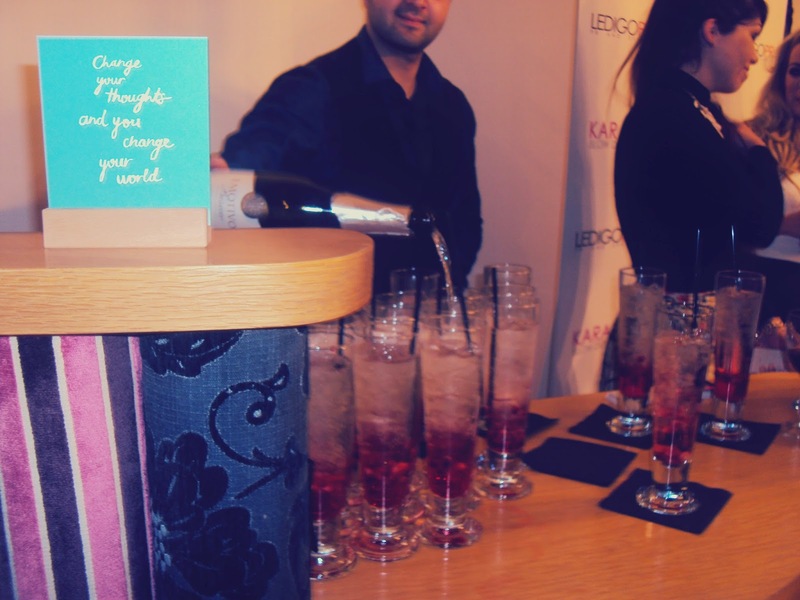 We were also lucky enough to share this night with some celebrities. 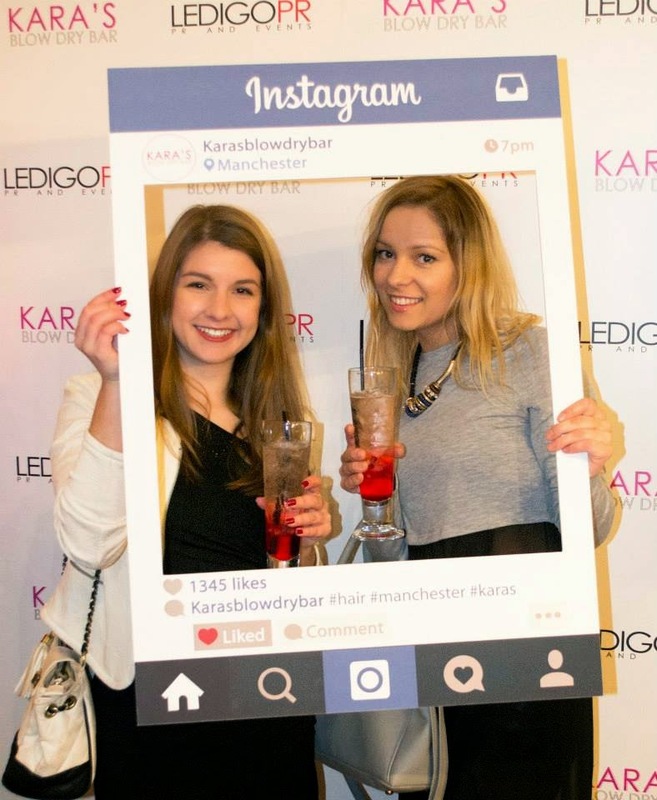 Tanya Bardo (below) and Ampika Pickston from The Real Housewives of Cheshire were being pampered at Kara's Blow Dry Bar too! We even had a short Q&A session with Tanya and a lucky few (including me!) got to take home her book, Just a Girl WHo Got it All. 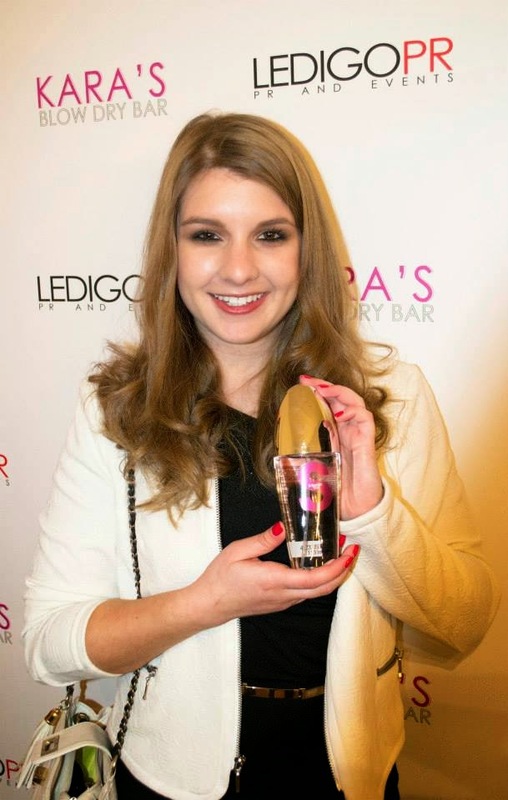 The most impressive aspect of the night was how Tanya balanced on her sky-high Louboutins all night long! 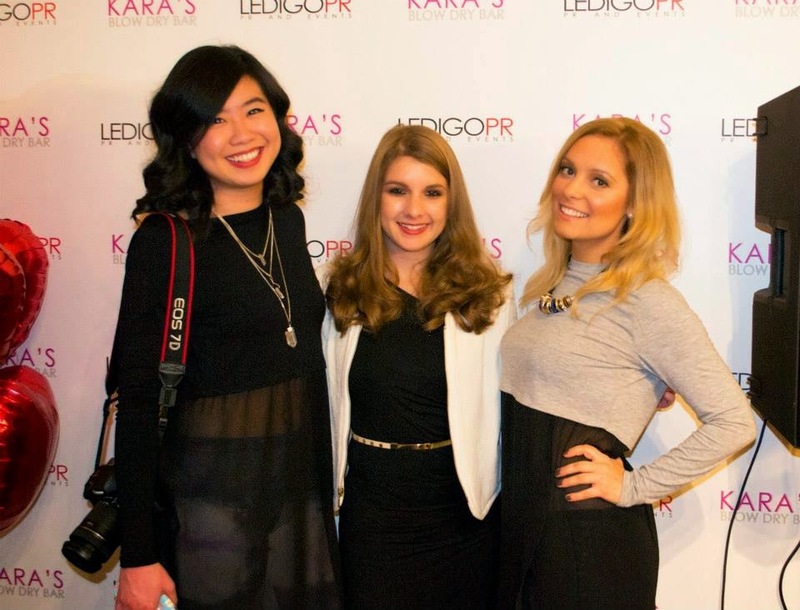 Thank you to Kara for hosting us and to Stephanie and the Ledigo PR team for organizing another wonderful event.